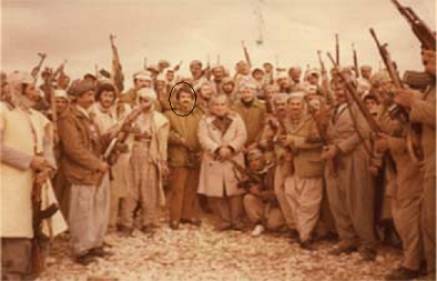 The idea of starting an internet website originated from my strong feelings and concept of the significance of documenting and study of the daring history of the Jaff tribe, and to shed light on the patriotic role played by their leaders who participated in the making and formulating the turn about of the Kurdish people. The Jaff’s tribe people are one of the largest and most prestigious tribe in Kurdistan, hence was the focus of attention by historians, researchers, and foreign explorer. Despite all such intense but rather late focus in the Jaff, as the case with other indigenous Kurdish tribes, the unknown history will always remain far greater than all the published information and knowledge about them however little, a fact we do not deny, as sources of the most important and beneficial to the new generation who aspire to know more about the history of its nation and past glories of their fathers. The Jaff was not a mere big and formidable tribe, it was rather a Tribal Emirate comprising of various tribes and sects that maintained their unity and solidarity within the a larger union under the leadership of their Emirs (Begzadas) in most epics and circumstances. By presenting this study to my dear/the, viewers and to those interested in the Kurdish people, I wish to state that I am no scholar, specialist, or historian; rather an attempt to objectively and fairly document events, and exerted all efforts to detach myself of all biases in this endeavour. I, Sarwat the fifth of nine son of Dawood Beg the head of the Jaff tribe, was born in a winter day in February 1947 in the village of Kalar, the winter capital of the chiefs of the tribe. 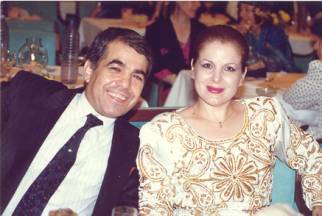 Unaware of what fate held for me, I lost the tenderness of my mother when she died when I was less than two years old, whereby my sister Khorsheed,who was only few years older than me took the responsibility of caring for me. I was sent to school in Kifri when I became six, then to Khanaqeen to complete my studies. 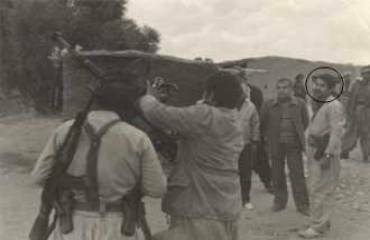 After the revolution of 1958 led Abdul Karim Qasim, chaos and anarchy spread in many cities of Iraq including our province. Because my father was a well-known figure and member of the Iraqi parliament at that time and head of the tribe, he chose to dissociate himself from it by departing from our province and the country as a whole. He contacted the Shah of Iran who personally requested him to move to Iran as well as demands by the Jaff clans in Iran to join them there. Then I completed my military service in the Iranian army in Bandar Abbas and Banbar Jask, being the medical chief officer of the Gendarmes there. After the Khomaini revolution and the departure of the Shah my brothers had prominent positions in the royal court that made them easy target. We decided to leave to our tribe’s areas in the west of Iran. My brother Salar Jaff, who was a Member of the Iranian National Shora Council and leading member of the ruling party, was detained by the Khomaini Guards and was martyred shortly after that, which was a strong reason for the whole family to be in the middle of our tribe. It did not take the new regime long to show its bloody side toward the Iranian people and the Kurds in particular in the Kurdistan of Iran; which consequently made the Kurds resistant to the suppression of the bloody regime which was crushing freedom and a sample of racism. and entrenched ourselves on the border areas with Iraq in Gilan Gharb, Qasr Shereen, the mountains of Dalaho, the surroundings of Pawa, Bayankan, Jwanrood, Halabcha, Panjween, and Bastam, where we engaged the Khomaini Guards in fierce battles and inflicted heavy losses on them. The first of these battles, which was known as the Battle of Bawa, hundreds of the Guards thugs were killed, downed several fighter planes and helicopters, and destroyed many tanks and military vehicles. Meanwhile the Iraqi Government contacted us offering logistical assistance, which we accepted in order to continue our resistance and inflicting losses on the Khomaini Guards, to expand our operational fields, and enhancing the fighting capabilities of our fighters. At that time I was practicing medicine and political activities as well as member of the front leadership of the movement. Following years of fighting and as a result of the Iraqi government’s regional policies and pressure, we were forced to abandon arm armed struggle and military activities, and the armed members of the tribe and their families were forced to stay away from the borders, then later evicted to refugee camps in Ramadi and Hilla in Iraq. Upon cessation of our military activities, I decided to pursue my studied and departed to the U.S.A. and obtained a specialization in Health Dietary from San Diego University in California; after which I returned to Iraq to practice my medical profession privately. In 1987 I went to the U.K. and obtained a Diploma in Ultra Sound Diagnoses. I continued practicing in Iraq until 1994. After Iraq invaded Kuwait and the miserable conditions, lack of security, and deterioration of educational standard that ensued thereafter, I took the decision to leave to Holland. Presently after the elapse of many years of residence in Holland, I pray to God Almighty for peace and security to return to the region and its people, and to all its ethnicities, sects, and minorities to coexist in harmony and peace, and to all its immigrants’ sons and daughters to return and live together. Many thanks to my dear friend Mr. Hesham Al-Mallak and my nephew Mr. Dawood Sardar Jaff ,omar ali shareef and mohammed ali soltani who helped me to build this website .